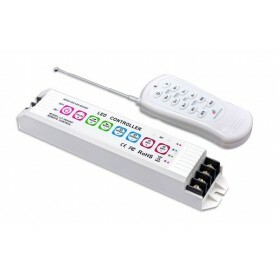 This LED dimmer is used for SingleColor LED-strips. 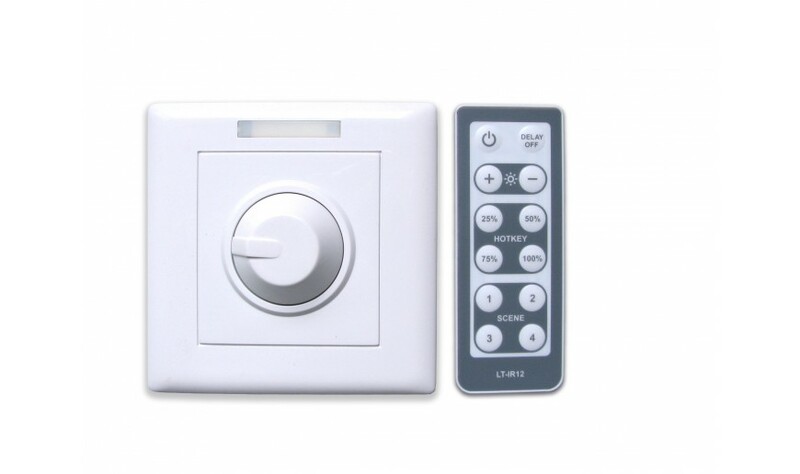 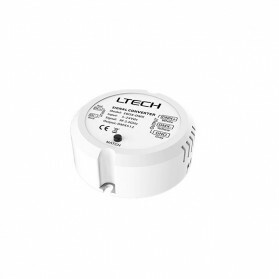 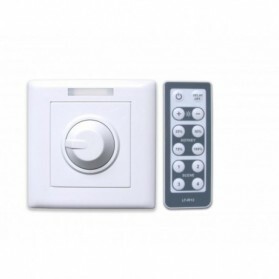 The dimmer fits on regular installation boxes that are often already installed in the wall. 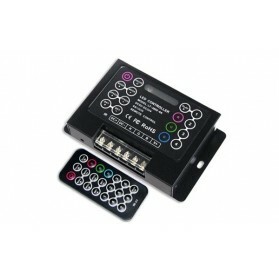 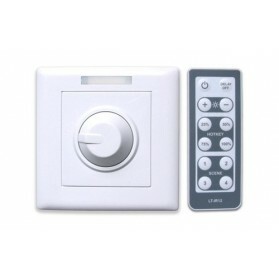 This item includes a mounting box and a infrared remote (L 86 x W 33mm).